Nothing gets a nature photographer as excited as the arrival of autumn. Sarah and I are very lucky to live in southwest Colorado, among the San Juan Mountains, one of the prime locations for fall colors in the US. Despite the inevitable doomsday predictions that the colors would be bad or super early, the colors were fantastic and right on time (late September and early October), as they usually are every year. In addition to the color we had some interesting weather especially late in the season. Here’s a small selection of my photos from the fall this year, for the full set, see my 2018 Colorado Autumn Gallery. A few days ago, a photographer on Facebook sadly lamented that they made a trip all the way down to the San Juan Mountains of Colorado only to be sorely disappointed because of the state of the aspen trees. This year was a mixed bag, with some patches changing quite early, some getting blackened by frost, and others slowly fading to a dull green. 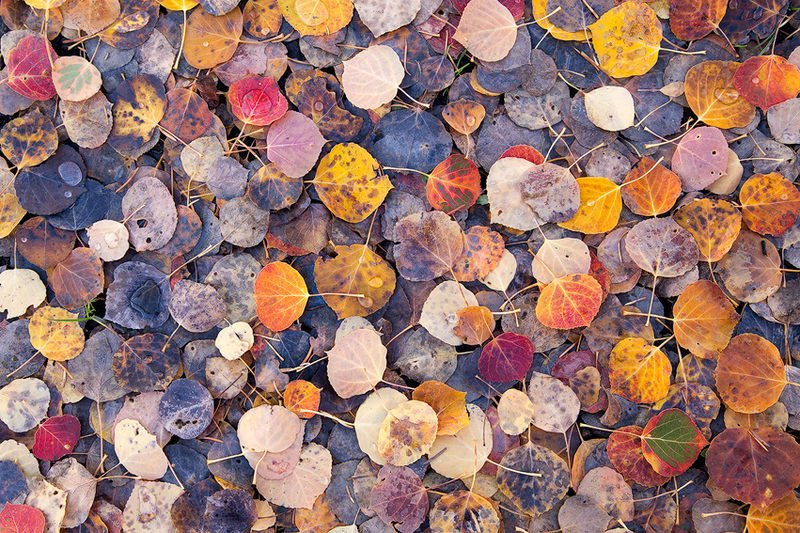 I would agree with this photographer’s sentiment (and should note that I have sounded a lot like this in the past) – 2014 was not a great year for fall colors in the San Juans if you arrived with specific expectations for hillsides of golden aspens, mountaintops full of fresh snow, and interesting weather for photography. Still, fellow Dreamscaper Ron Coscorrosa and I both came away with quite a few photos we like from the same place at the same time. The difference between us and the photographer I mentioned above? We arrived with few expectations for what we hoped to photograph and instead welcomed the opportunities that came along.